We began our study of history this year at the beginning again. I chose as our main text, the best book in the world, the Bible (which happens to be an original source). 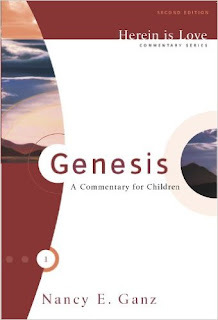 I had a copy of The Greenleaf Guide to Old Testament History that we had used years ago and I've used that some, but I also found this wonderful commentary for children - Herein is Love: Genesis, a Commentary for Children. We just finished Genesis and are ready to start Exodus (with her accompanying commentary for that book). We read the passages from the Bible first (usually a chapter from Genesis or Exodus and an accompanying Psalm or New Testament passage as well). Then read Nancy's commentary! I love this pastor's wife's writing!! She is VERY insightful and has a beautiful way of telling the story. My children haven't minded hearing the story a second time as she retells it. The second half of the book is a Teacher's Guide and includes memory verses, crafts, visual aids, review questions and field trip ideas for each lesson. 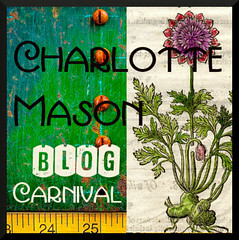 I highly recommend this resource.